Intermediate+ listening. New vocabulary introduced. Each listening accompanied by a comprehension or vocabulary activity. This is an excellent site full of stories on a wide range of topics. Every story has a pdf transcript with language notes attached. Intermediate to Advanced Students. 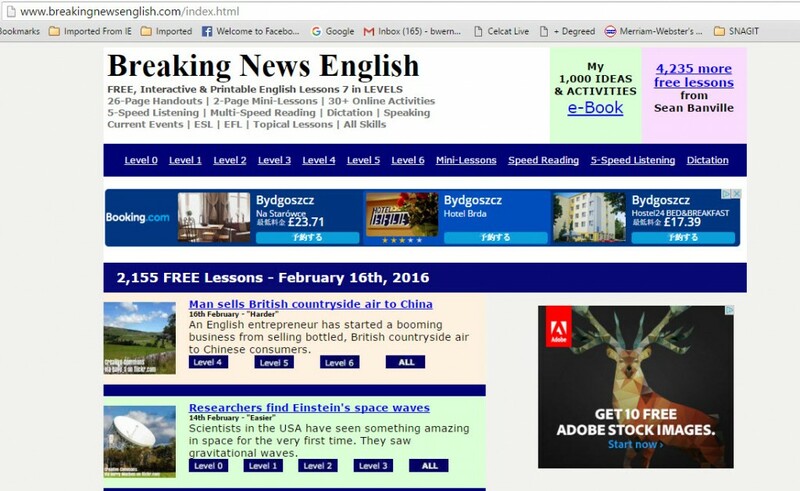 News stories with vocabulary and comprehension exercises. A collection of various short listening recordings at a range of levels accompanied by tests and transcripts. A collection of short, but very helpful, tips on writing covering Sentences, Paragraphs and essay writing. Excellent site with interactive information on writing a research. Suitable for more advanced levels and Academic English. A collection of interactive activities for organising, planning and editing writing (letters, paragraphs, essays). A collection of short but very useful tips on writing. An excellent collections of stories covering areas such as Adventure, Crime, or Health, all in two formats – full and abridged. Some stories are accompanied by an audio file. Each story has a collection of online vocabulary and comprehension activities. There is also a “Your turn” area with a follow-up writing activity. Just 5 topics but accompanied by very good pre-reading vocabulary activities, comprehension and practice exercises. 6 different levels including advanced. Additional Grammar page. Intermediate+ reading. New vocabulary introduced. 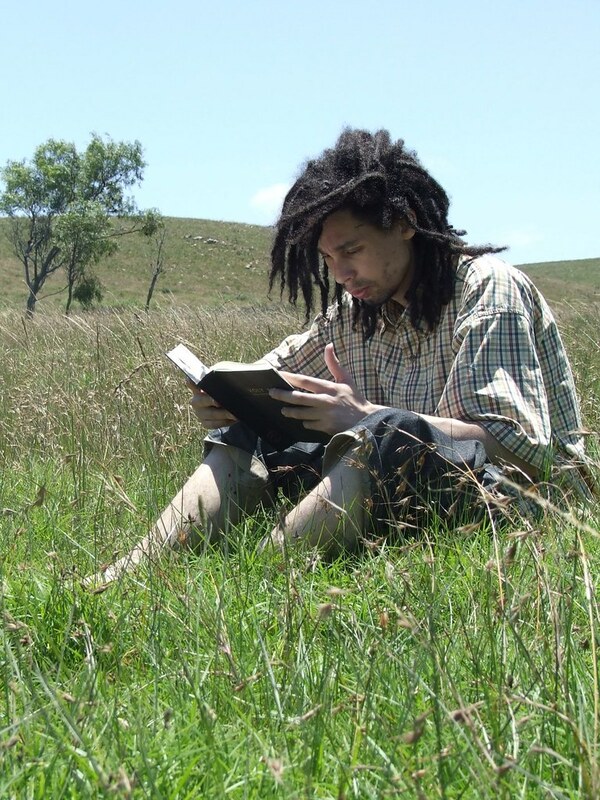 Each reading accompanied by a comprehension test. A collection of short fiction FOR FREE!!!! You’ll find Dahl, Grimm brothers, E.A. Poe to name a few. 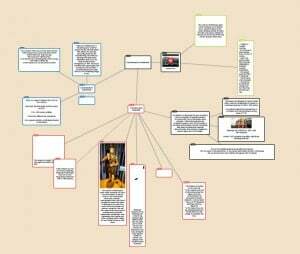 POPPLET http://popplet.com/ – a very intuitive and user friendly application for mind-mapping and presentations. Uses a range of media – word/pdf/jpg documents or videos. Available as a mob ile app as well. Ideal for individual and group projects and short presentations. PADLET https://padlet.com – another great tool especially for collaborative projects. Uses a range of media – word/pdf/jpg documents, videos or audio files. Available as a mobile app as well. SCCOP.IT – http://www.scoop.it/ – an excellent tool for collecting (scooping) material online. Excellent for research. This is a screenshot of my scoop.it with 5 different topics (highlighted). 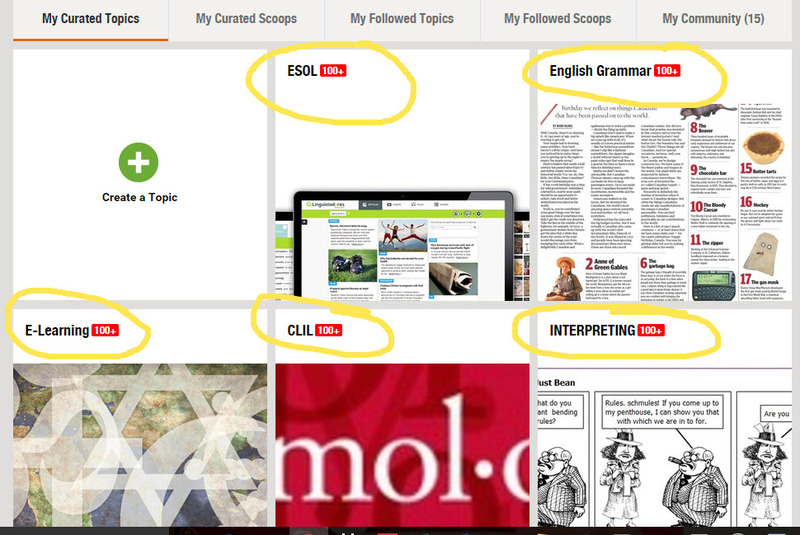 The program collects what is available online related to the chosen topic. Unfortunately, now you can create only one topic for scooping (used to be 5).